Keyboard Amplifier on rent ! 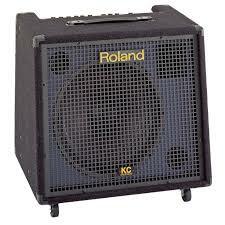 Roland KC550 on rent ! Roland Keyboard amp on rent ! Backline for sound system on hire Delhi Gurgaon Greater Noida! Roland KC550 is a flexible mixing section with 15" speaker and horn tweeter 180 watt power designed with performing musician in mind. Roland KC550 is comming with 3 band equalizer with XLR output to direct mixing console.